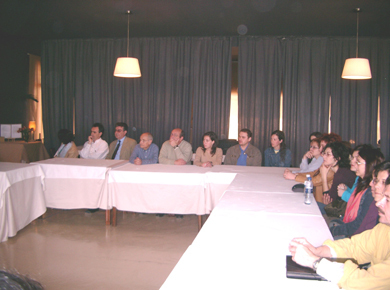 The Red Cross in Girona has a human rights cabinet whose aim is to promote the culture of peace, promoting human rights and international humanitarian law. 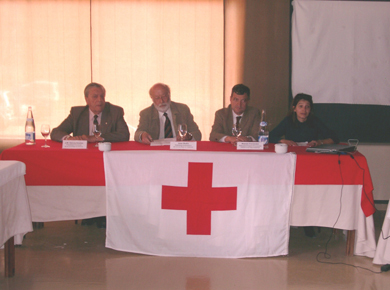 This cabinet is part of a national network created by the Spanish Red Cross in order to reinforce the humanitarian values of its organization. The Spanish Red Cross has already organized three courses on human rights promotion and the Creu Roja Girona's staffs has considered that organizing the fourth course in our area it would be a great opportunity to achieve our objectives. The humanitarian values are already introduced and developed inside our organization but we consider that these values and principles should be introduced among the society through our volunteers, that's why we need to teach them. The birth of international humanitarian law took place thanks to the International Committee of the Red Cross and the Red Crescent whose creator was Henry Dunant. His work committed to the most vulnerable persons made him understand the need of creating a non-profit organization, which works in favour of the most vulnerable persons. The principles of its organization are, among others, humanity and impartiality, for that reason he was able to work in times of peace and war with total independency. These principles are still in force and they are based on the human rights recognised all over the world. The democratic states have signed international human rights treaties and international humanitarian law treaties but they haven't still made enough promotion of these rights among their population, that's why the Red Cross, an organization committed to these principles from the beginning, considers necessary to teach and develop these subjects in order to guarantee the respect for these rights. - The third part included the national and international laws related to international humanitarian laws and the task of the task Red Cross related to these subjects. The methodology that was used during this course consisted of theory and practise to help understand very deeply the contents through group dynamics introduced by the teachers. Apart from learning activities this course offered the attendants, who came from all over Spain, the opportunity of knowing the area of Girona by visiting the main villages of Baix Empordà and the village of Sant Martí Vell, and the city of Girona. Creu Roja Girona, as organizer of this event, offered the attendants and teachers a welcoming dinner with traditional products of our region.